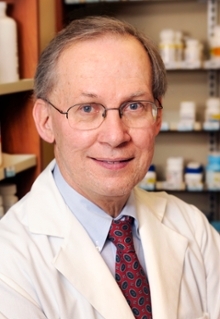 Peter W. F. Wilson is a cardiology professor at Emory University School of Medicine, a professor (global health, epidemiology) in the Rollins School of Public Health at Emory University, and director of epidemiology and genomic medicine at the Atlanta Veterans Affairs Medical Center. Peter W. F. Wilson, MD, PhD, is the recipient of the Society of Cardiovascular Computed Tomography's (SCCT) 2017 Arthur S. Agatston Cardiovascular Disease Prevention Award. The national honor is given to individuals whose pioneering efforts have saved lives from heart disease. The award was presented at this month's SCCT 12th Annual Scientific Meeting in Washington, D.C.
Wilson is a cardiology professor at Emory University School of Medicine, a professor (global health, epidemiology) in the Rollins School of Public Health at Emory University, and director of epidemiology and genomic medicine at the Atlanta Veterans Affairs Medical Center. SCCT is recognizing Wilson for his lifelong contributions in metabolic and cardiovascular population research. His research focuses on determinants of coronary artery disease, including projects on physical activity, obesity, diabetes mellitus, hypertension, dyslipidemia, vascular calcification, hormonal factors, inflammatory markers, and genetics. Other research includes metabolic factors as antecedents of diabetes mellitus with consideration of traditional factors and insulin resistance. "Dr. Wilson has been a pioneer in defining what factors cause coronary artery disease to become manifest: ranging from obesity, diabetes and physical inactivity, to genetics and inflammation," says Jack A. Ziffer, PhD, MD, FSCCT, chair of the Arthur S. Agatston Cardiovascular Disease Prevention Award Selection Committee. "His discoveries have saved countless lives by defining the risk factors that patients can avoid or modify." Wilson is best known as the originator of cardiovascular risk estimation in the Framingham Heart Study. This multifactor risk estimation has been adapted and used for cardiovascular care and guideline development in the United States and around the world. This approach has also been used as a starting point for heart disease risk estimation to help assess the utility of newer biomarkers and cardiovascular imaging. He has played an active role in many professional societies and committees such as the American Diabetes Association (ADA), American Heart Association (AHA), Advisory Committees for the Food and Drug Administration, and was the president of the American Society of Preventive Cardiology from 2008-2010. Wilson is currently on the editorial board of the Journal of the American Heart Association and has held numerous editorial roles for publications such as the Journal of Clinical Lipidology, Journal of Clinical Endocrinology and Metabolism, Circulation Cardiovascular Care and Outcomes, ACC/AHA Adult Treatment Panel IV Guideline Committee (2009-2013), ACC/AHA Risk Assessment Working Group (2009-2013), and the FDA Endocrine and Metabolic Disease Advisory Committee (2013-2017). The author of over 1,000 research publications or presentations and four books, Wilson has also edited more than 25 books and special journal supplements. His research has contributed to development of new noninvasive imaging techniques in areas such as describing the phenomenon of apoptosis (programmed cell death) and the vulnerability of atherosclerotic plaques. Arthur Agatston, MD, is the preventive cardiologist for whom the award is named. His scientific work resulted in the Agatston Score, a method used worldwide for screening patients for coronary artery disease by measuring the amount of atherosclerosis in the coronary arteries. Agatston also developed The South Beach Diet, a #1 New York Times bestseller.